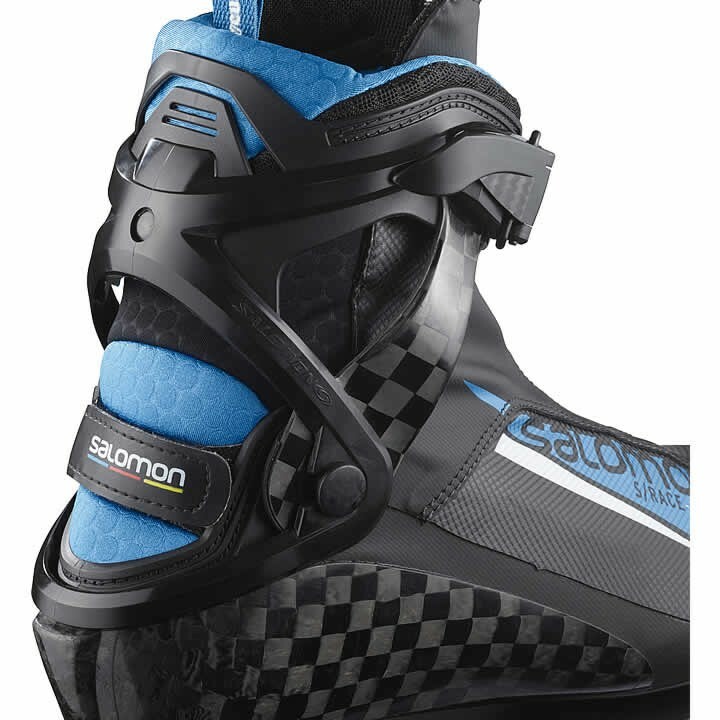 Long 3D Carbon Skate Chassis: Significantly lengthened carbon foot cradle wraps more of the foot for maximum stiffness and torsional rigidity. More of the skiers' side forces are directed into the bindings and the skis. 3D Mesh Membrane: 3D mesh fabrics drive the humidity away from the feet and improves breathability of the boot. 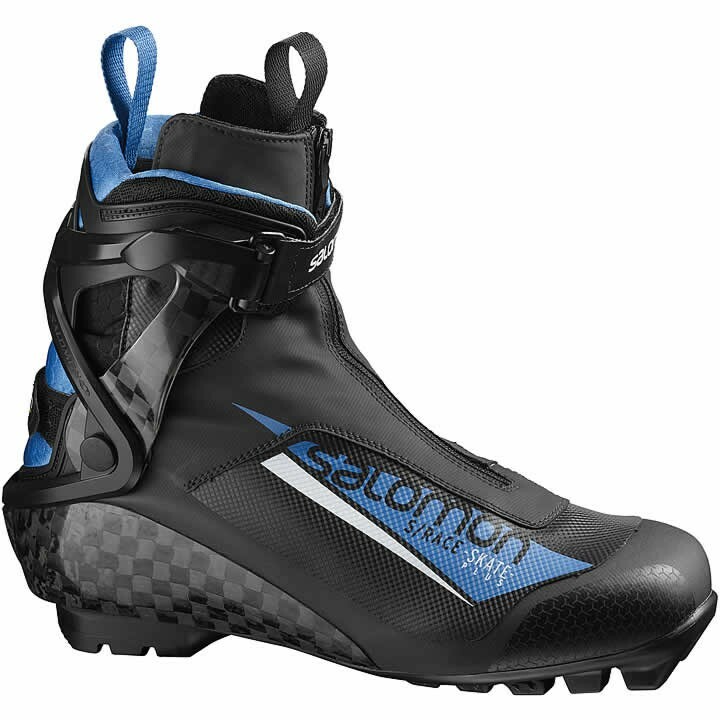 Dissociated Quicklace: Salomon patented technology, the dissociated lacing system allows to adjust forefoot or upper foot tightening by pulling one part or the other of the Quicklace. Envelopment / Second Skin Construction: The lacing system is directly fixed on the external envelope of the boot. When pulling the lacing system, the boot is wrapping perfectly around your foot like a second skin. S/Race Energyzer Cuff: S/Race cuff for lateral support. The 3D Energyzer provides better muscle relaxation and faster ski return. It's high lateral and progressive support gives good edge control as well as free ankle motion. Racing Insole: Comfort, support, and power transmission. 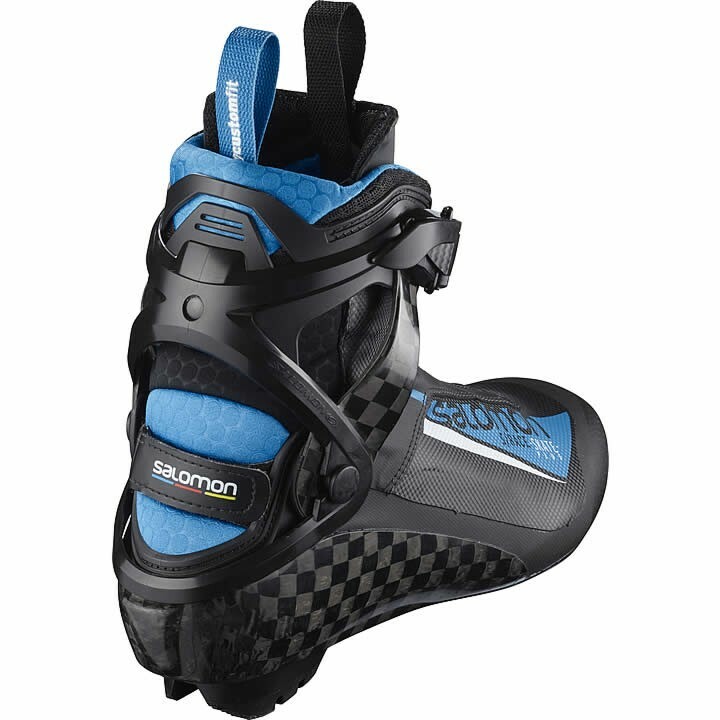 Adjustable Heel Strap: Adjustment strap around the back of the heel for precise heel hold, comfort, and performance. Memo Strap with Click System (Ankle Strap): Adjustable strap that fits anyone's morphology. Convenient and quick system clip.